The Bliss Sports Bra will ensure you have maximum support and ultimate comfort in your practice without compromising on style. With a feminine front rouche detail and a cross over strap back detail. A full length activewear and yoga legging made from a high performance fabric. The waistband has a higher waistband for additional medium to firm support. The fabric is soft and luxuriant and feels gorgeous against the skin. The perfect combination of comfort, functionality, and style. 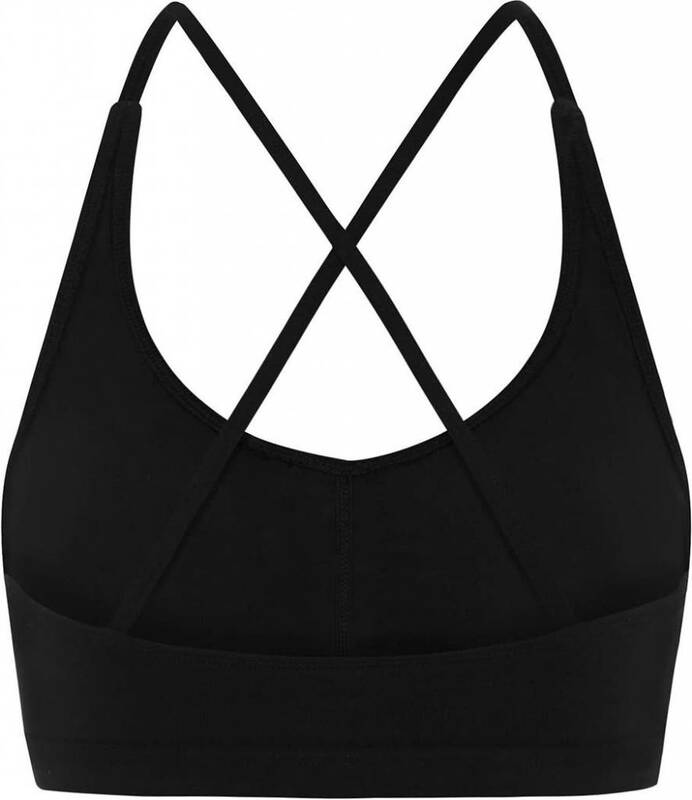 This yoga bra with beautiful open back and high neckline is made of sturdy, moisture wicking material and has removable padding. 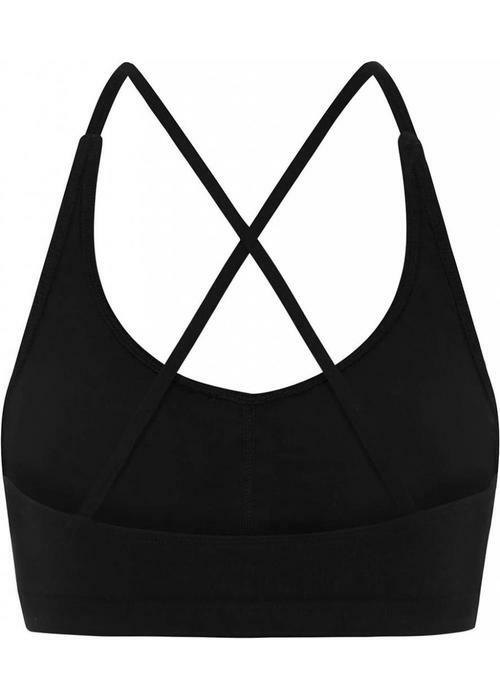 This beautifully designed racer crop features a flattering key hole back detail. It is triple lined and has removable cups for extra support. 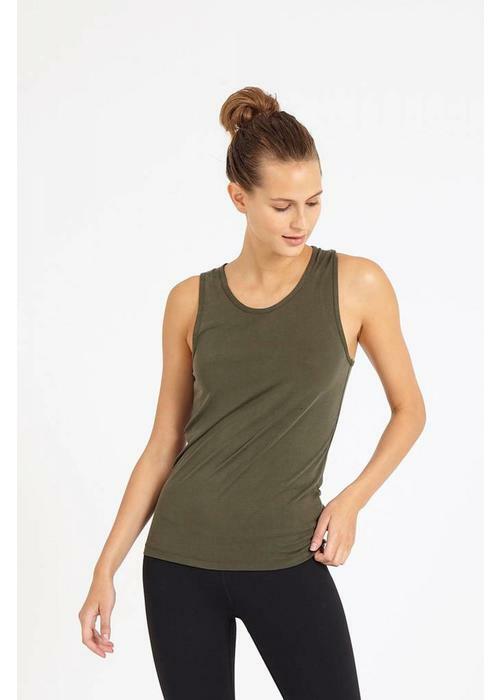 A firm elastic band around the ribs and wider shoulder straps keep this top in place in any yoga pose. 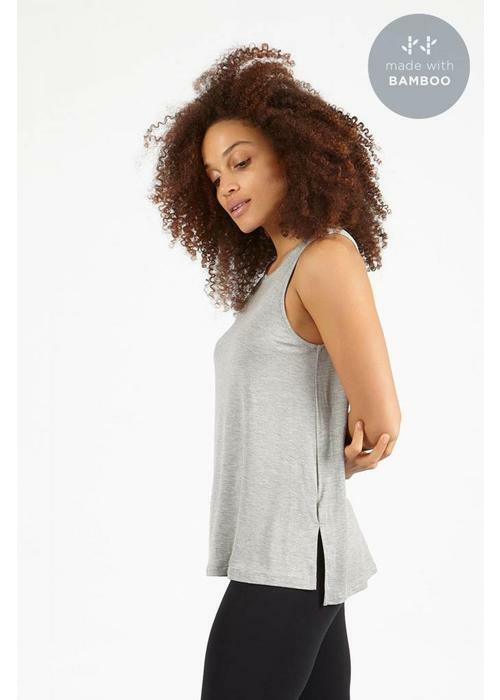 A real essential for every yogi: a good pair of solid color leggings! 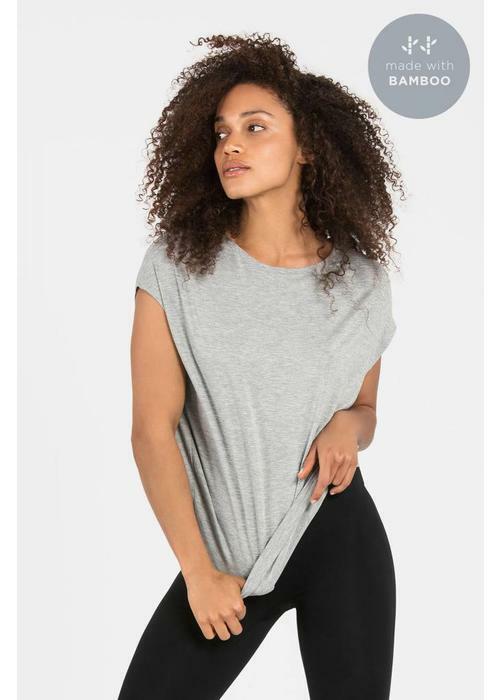 These leggings are made of sturdy and elastic Supplex and has a wide waistband that offer lots of support and keeps the legging firmly in place. This short yoga top with a beautiful low back offers soft support and lots of freedom to move and breathe. Made from a premium, high performance Supplex fabric with a cotton hand feel that is moisture-wicking and breathable. 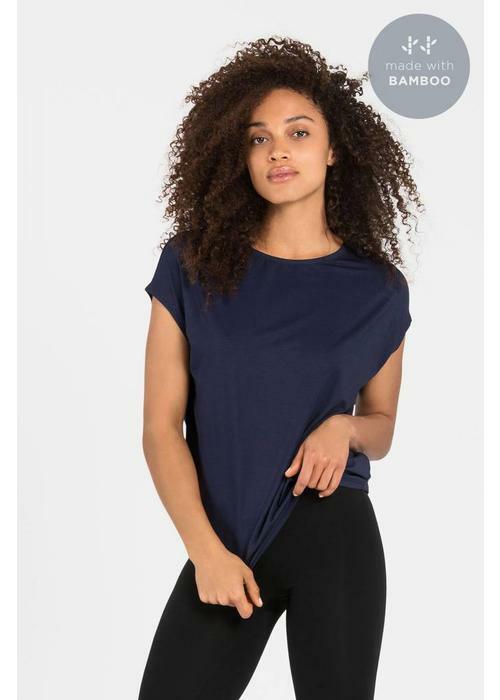 This versatile tee is a great layering piece for any yoga outfit. The tee has a high neckline, slim fit, and is slightly longer in the back so it covers part of your bum. 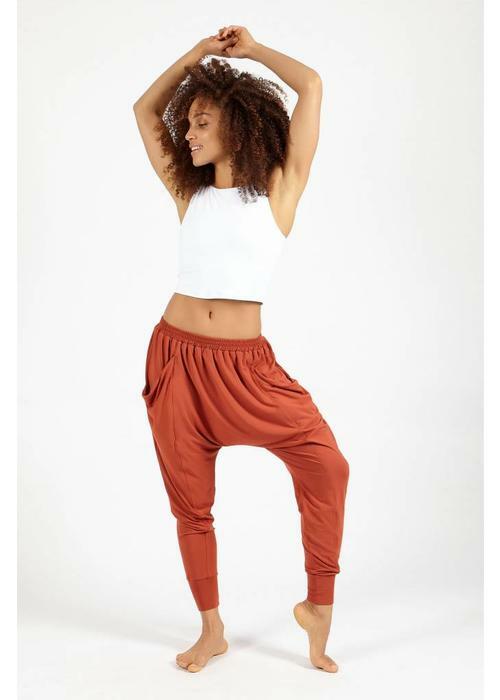 Made with bamboo, so it's very soft and breathable.